Bayero University, Kano, BUK add/drop course(s) exercise for second semester, 2014/2015 academic session. 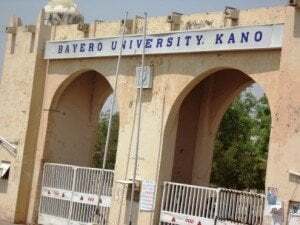 This is to inform all the students of the Bayero University, Kano (BUK) willing to add or drop a course(s) for the second semester 2014/2015 academic session that the exercise will commence from 12th October, 2015 , and end on 17th October, 2015 . Make payment of N1,000.00 at the Bayero University Microfinance Bank Limited from 7th – 16th October, 2015. Submit your original Teller to officer in-charge at DEAR with your registration number written on it. The portal will be opened on 12th October, 2015 to ONLY the affected candidates. Reprint your CRF and submit to your level coordinator for documentation.